Windows and doors are a weak point in the building for noise reduction. 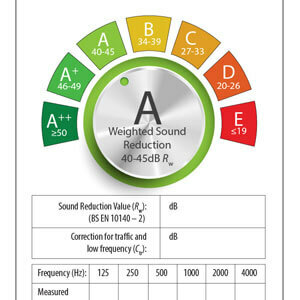 Choosing the right product can reduce noise levels in your building, having a positive effect on your health and quality of life. 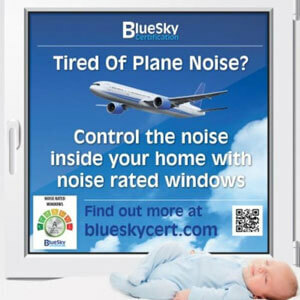 Bluesky’s noise rating scheme for windows and doors makes it easier to choose the right windows and doors for your home. Building Regulations ensure that people are able to escape safely and firefighters can enter the building to tackle the fire. Buildings must have either fire escape windows or protected escape routes. When replacing a fire escape window, you cannot make the window opening smaller. How well your windows are installed will have a big impact on their security, energy and acoustic performance. The installation can also affect the structural integrity of the building, so it is important that it is done correctly. 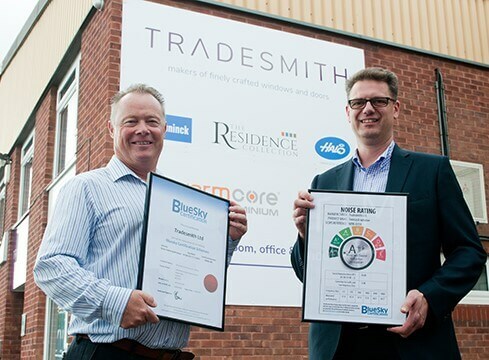 British Standards set minimum performance levels of weather performance and durability for windows and doors. Not all windows and doors meet these requirements though. 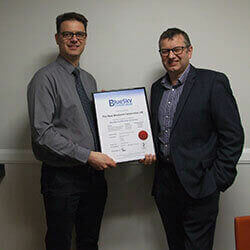 Can your supply demonstrate that your windows and doors are certified to the relevant British Standard? Not all windows and doors have the same level of security. For peace of mind, insist that your windows and doors are certified to PAS 24, the standard that the police use for Secured by Design developments. Modern windows and doors are much more energy efficient than they were around 15 years ago. Upgrading to modern energy efficient windows and doors which meet current Building Regulations is likely to reduce your heating bills. Low level windows and doors must be fitted with safety glass, to prevent injury if the glass breaks. The type of window or door you choose will have a big impact on what your building looks like and will probably affect its resale value. Whether choosing timber, aluminium or PVC-u, make sure the performance of the window and door design can be demonstrated. Windows and doors are controlled fittings which are subject to a number of regulations. If you don’t meet these regulations you could be forced to put things right at your expense. Glazed extensions are often exempt from Building Regulations, so the quality of installations can vary significantly between different companies. To avoid issues, or even a complete rebuild being required. It is important to choose a firm that will do your installation correctly. Hover over the image for a brief overview, click on the image for more information. 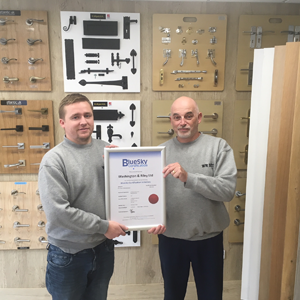 For confidence, ask for a Bluesky certified window or door, fitted by a Bluesky certified installer. You can also download a pdf version of our guide to buying windows and doors.